Why would I need self storage in Artesia, CA? There are a variety of reasons why you might need self-storage in Artesia, CA. How much is a storage unit in Artesia, CA? The cheapest storage unit in Artesia, CA is $72.00 per month. What size storage units do you have available in Artesia, CA? In Artesia, CA we have sizes that range from 5'x5' to 10'x30' to suit your storage needs. How much is it for a 5'x5' storage unit in Artesia, CA? The cheapest 5'x5' storage unit in Artesia, CA is $72.00 per month. Artesia is a village in the Los Angeles-Long Beach metropolitan area, part of Los Angeles County. It's just a mile northwest of Cerritos and nine miles northeast of Long Beach. You'll enjoy easy access to recreational facilities including Artesia Park and historical sites including the Artesia Historical Museum. The modern Pioneer Boulevard Median pedestrian area and Little India, with its Indian restaurants and retailers, add cultural diversity. Artesia was established in May 1875, following completion of the Artesia School District. Its name pays homage to the naturally flowing artesian wells that made Artesia a popular choice for agricultural and farming activities. Portuguese and Dutch farmers developed the area in the 1920s and 1930s, transforming it into one of the most important dairy regions in Southern California. Several residential tracts joined local farms following World War II, and Artesia was officially incorporated in 1959. Artesia has enjoyed modest growth in recent years as more people recognize its positive job growth, excellent recreational facilities and nearby big-city amenities. Its local water tower has a mysterious history, earning a spot in a handful of Hollywood films and television shows. For a rich cultural experience, you can visit the city's Cultural Shopping District. 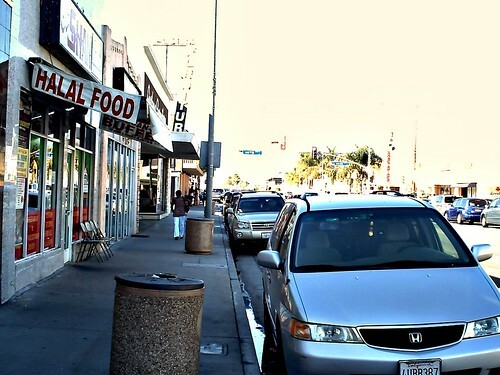 Here, you'll find a number of Indian shops and restaurants lining Pioneer Boulevard. Artesia's unemployment rate is higher than the national average, but job growth has been positive in the village, a sign that the local economy is strengthening. A large percentage of local jobs are in white-collar positions, especially in the areas of office and administrative support, sales and food service. Artesia is home to the headquarters of prominent businesses including Ziba Beauty, Alcobond Industries and the quality management department of Delta Dental. The ABC Unified School District was formed in 1965, when the Artesia, Bloomfield and Carmenita School Districts joined forces. It serves the communities of Artesia, Cerritos and Hawaiian Gardens, along with some parts of other L.A. communities. In addition to the city's public schools, there are a handful of small private campuses. Utilities: Southern California Gas and Southern California Edison are the city's central energy providers. A few different agencies manage water services. Garbage and Recycling: The city provides curbside collection of trash, recyclables, organic waste and green waste. Pick up of bulky items, electronics and medical waste is available. Transportation: The city's Dial-a-Ride service offers free transportation to seniors and those with special needs. Parking: The city has a parking permit program, making it convenient to reserve a parking space in front of your home. Properties and rent prices in Artesia are far more expensive than in many U.S. cities but more affordable than in many areas of the Los Angeles-Long Beach metropolitan region. You'll find a mix of single-family homes and apartments to choose from, making it easy to find housing that fits your needs. Our lowest priced units in Artesia, CA average $72.00 per month. 38 people have reserved units in Artesia, CA in the past 30 days. There is 1 location within Artesia, CA's city limits.